In today’s Friday Flop Shot I’m going to share a once-in-a-lifetime experience that S3 and I had 2 days ago. It was unexpected and the kind of thing that money, at least for most of us, can’t buy. S3 and I volunteered to caddy in the Valero Texas Open Pro-Am held Wednesday, April 18, 2018. The mindset is “hope we have some decent amateurs and a pro whose name we have at least heard of.” You never know what you’re getting. That was for sure the case today but on the other side of the coin. So we found our group’s bags and were reading the tags to see who we each had. My guy was Martin Parrish, ok. Then S3 starts reading the rest of the tags and says, “Dad, come here.” He points to the spot that says Professional. And we do the classic Looney Tunes doubletake because it says Adam Scott, on all 4 bags, so it must be true! It was five and a half hours of incredible memories. Oh, as I found out after the round, my player, Martin Parrish, is a top Valero officer and Chairman of this year’s VTO, the biggest dude at the tournament other than the players. He’s a great guy and brought 3 good amateurs with him. They were all fun to be around! Now to Adam Scott and his caddy David Clark. I can’t imagine that there are any nicer, more helpful and genuinely patient and good guy professionals to be around than these two. Refreshing to say the least! It was just like talking to regular folks, no pretenses, amazing men, looked you in the eye and engaged when we talked to them. Wow, we are bigger Adam Scott fans than before, if that’s even possible! As some of you may recall, our family has been active in golf in this city since 1925. The Executive staff at Golf San Antonio, a little birdie told me, wanted to put someone in the Chairman’s group they could trust to support and fit in with this marquee 4-some. They hand-picked us because they know us and were comfortable that we were the right guys for the job. I told S3 this is a classic example of who you know and who knows you and what they think of you. I emphasized that this is a testament to our family’s golf heritage over all these years, but more recently to his, mine and Linda’s involvement over the last 20 years. Great life lesson! Our group actually was third to pick a pro. Valero CEO played with Greg Norman who designed the course and manages the whole event. 2nd took Sergio and Martin chose Adam. Not bad. I don’t have the words to convey how great this day was and getting to spend it with my son was so special. Incredible memories. Next year we’ll reset to our original premise. Just hope we’ve heard our pro’s name beforehand. Parents, let this be encouragement for you and your junior golfer to volunteer in big events. Something like this can surely happen to you, particularly when you least expect it. In this Monday Mulligan we will take a look at the winner of The 2017 Valero Texas Open. His path to a victory has been long and filled with a number of curves. Let’s see how this particular win can become an excellent motivator for your child. Golf is very competitive at all levels. Whether your son/daughter is 5, 10, 15, 20 or 30 years old, there are plenty of golfers who can play as well or better than he can. One of the things S3 learned at a young age was that there were maybe a dozen guys in our area that he would be competing with for his whole junior golf, and to a degree, in his college golf career. And you know what, that’s a good thing. 1st off he became great friends with several of these guys and 2nd off he learned that on any given day anyone in this group, including himself, could beat any and all the rest of the group. It was great competition for a number of years. Yes, it was wonderful! And learning that he/she as in your son/daughter, can come back and beat somebody, perhaps more than 1, that beat him/her in the previous tournament is a fantastic life lesson! So let’s take a look at Kevin Chappell. He had a great amateur career. I’m not sure if you would call him a phenom, but he functioned at high levels in some very rarified amateur air! 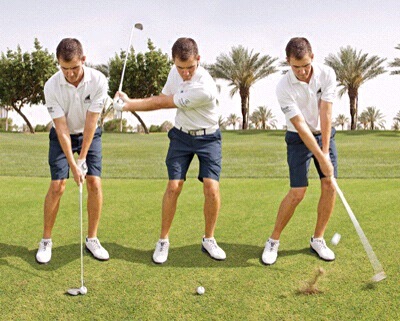 He turned professional in 2008 and had 1 win on the then, Nationwide Tour, now the Web.com Tour. He earned his PGA Tour card for 2011 and started his career on the big boy pro circuit. Kevin had some success with enough earnings and placements to keep his PGA Tour card and maintain some status in certain events. A win, as in his 1st win on the PGA Tour, was hard to come by. A couple of 2nd’s, a playoff loss, so close, yet so far away! How on earth does a person keep coming back after being in reach of the gold ring and falling short, time after time? Man, it’s tough! Psychologically, there’s a lot going on. A couple of major points are that Kevin had won golf tournaments before, he just had not won at this very highest level. So he knew he could win, he just hadn’t done it yet. And next, he believed in himself enough to keep getting back up after being knocked down, knowing that at some point a victory would be his. Persistence overcomes resistance! Please Dad and Mom, learn this phrase and help every one of your family members ingrain it into their minds. This is one of the great truths of life! There is some debate over whether the 2017 VTO was Kevin’s 180th, 181st or 182nd PGATour start and it really doesn’t matter here. The point is that this 30 year-old teed his golf ball up in at least 180 events on the PGA Tour before he logged his 1st win. This is a classic example of persistence overcomes resistance. 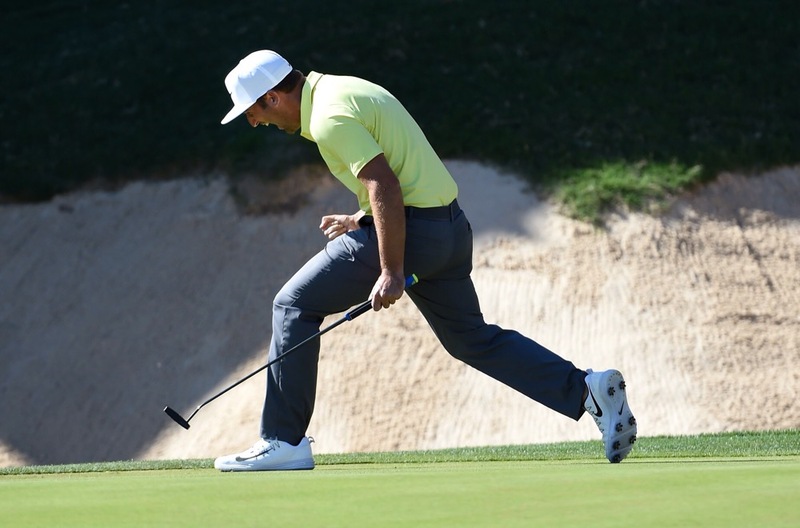 How many times did Kevin Chappell have to get back up after being knocked down? That’s what competition is about. That’s what life’s about! Come on Folks, this is great stuff! The tears in his and his wife’s eyes as they stood on the 18th green were a great testimony to sheer persistence. A great takeaway for your junior golfer is Kevin’s response to an announcer’s question of, “How was today’s round different from your other final rounds where you didn’t pull out the win?” To paraphrase Kevin, “I was calm all day.” And when asked about the 8’2” birdie putt he made to beat Brooks Koepka by 1-shot, Kevin said, “I definitely had more nerves.” Meaning he had more control over his nerves than in a couple of previously events where he left potentially winning putts well short. This putt, however, went right into the center of the cup and Kevin won! No playoff! Congratulations Kevin on your 1st PGA Tour victory! In this Friday Flop Shot we will do a little promoting of our hometown PGA Tour event, The Valero Texas Open. Perfect weather here through the weekend with 80’s today and low to mid 70’s on Saturday and Sunday. Minimal chance of rain. Come on out to TPC San Antonio and enjoy the great golf, amazing facilities and the world-class environment that is a PGA Tour tournament. The logistics are simple and really it is not necessary to spend a ton of money to attend. The shuttle buses run from several locations and they, in our opinion are the way to go. On-site parking is crazy expensive and seems to not offer much, if any advantage over using the shuttle buses. A very convenient departure location for the shuttles is Retama Race Track on I-35 in Selma. Just park your car, pay a few bucks and get on a bus. Simple and inexpensive. Day passes are $20 in advance, $30 at the gate. Military and first responders receive special benefits and children 12 years old and under are free. The day passes are all you need to have a great time. There is plenty of open/free/public seating all over the course. 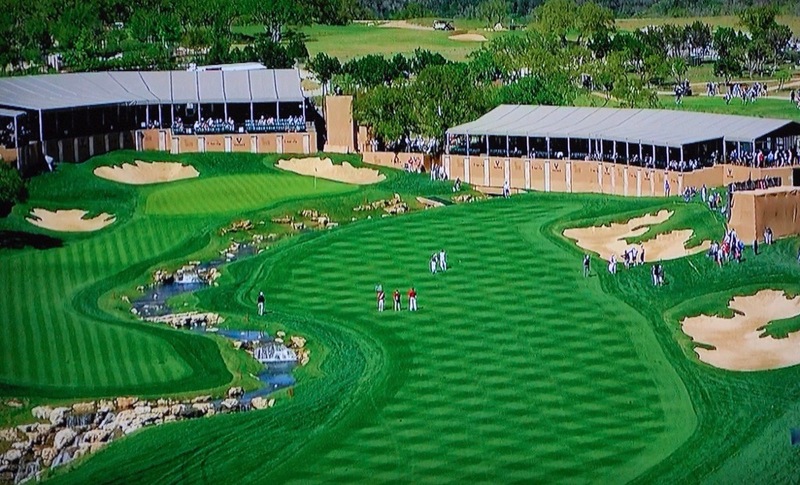 And the AT&T Oaks Course is very walkable. More gently rolling than hilly. Food and drinks are plentiful and there is tremendous variety, so don’t be concerned about being hungry or thirsty. When you arrive, you will be scanned and then be admitted through the vendor area. It’s easy to spend a lot of time in this part of the grounds because there is so much interesting stuff. Free items, drawings, just fun times. You exit this area through an air-conditioned PGA/TPC/VTO tent with event logo shirts, caps, etc. Plenty of great souvenirs! Here’s one of my best tips ever! Once you leave the souvenir tent you are basically at #17 green. This is a driveable par 4 as long as there is not much of a south wind. But Sunday will have a strong north wind and most of the guys will be trying to drive this green. Frankly it’s tough to get a tee shot on this green and to get it to stay on this green. What does that mean for fans sitting at the 17th green? Simply, you will get to see 1 of the great short game exhibitions of your life! The risk part of risk/reward will have guys hitting from fairway bunkers, greenside bunkers, short rough, deep rough and bare dirt. 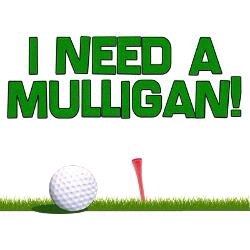 They will also be hitting flop shots to a pin they can barely see and from over the back of the green. All of these shots except for the ones from fairway bunkers will be about 30 yards or less! When we watched this exact scenario a couple of years ago, we must have seen 50-60 players doing this and guess what, they’re all really good! There were maybe 3 shots that were not in the very good to excellent to amazing categories! How can I say this? On Sunday, sitting at 17 green with a north wind is the absolute best seat on the whole golf course. Go early, stay late. Take a cap, sunglasses and sunscreen. Have fun!